Wilden has teamed up with FortisBC to create a new energy concept for residential homes that goes above and beyond the province’s Energy Step Code. Aside from the homes being extremely energy efficient, they will also be carbon neutral thanks to the use of Renewable Natural Gas provided by FortisBC and funded by Wilden for one year. Lost Creek Point is a brand new townhome neighbourhood in Wilden that will be officially released in early 2019. It will feature 36 semi-detached and two detached townhomes that will push the envelope in airtightness and energy efficiency. 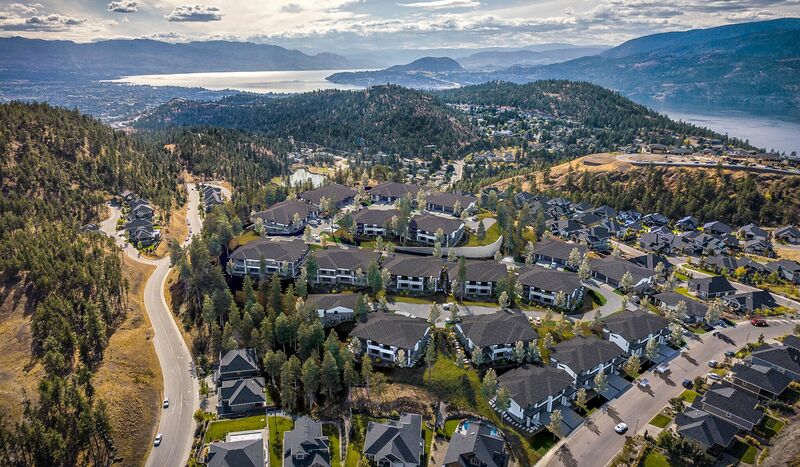 A number of energy saving initiatives will bring the Lost Creek Point homes to over 50 per cent more energy efficient than the average new B.C. home. Carbon emissions, meanwhile, are down to approximately one-third of the average new home. Lost Creek homes will be built between steps three and four on the Energy Step Code, which is notable because the top level is five and the mandatory level is one. 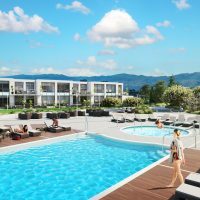 “With the extra investment we put in our townhomes we want to set an example in forward-thinking multifamily development,” Wilden Director Karin Eger-Blenk says. “It is possible to follow the B.C. energy step code and even exceed it, but developers need to take the initiative. Fortis and Wilden joined forces to make these homes carbon-neutral for one year. Wilden is paying the premium for RNG (Renewable Natural Gas) for one year after the first owners move into the home. After that the owner can decide to keep the RNG percentage at 100 per cent, lower it or use 100 per cent regular natural gas, which will still provide a minimized carbon footprint thanks to the very low gas consumption of the home. 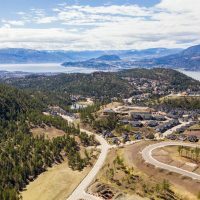 Lost Creek Point homes, which will range from 2,000 to 3,600 square feet, are located in the Lost Creek neighbourhood of Wilden, just north of downtown Kelowna and close to all the amenities. You can register for updates on Lost Creek Point at www.wildentownhomes.ca.